Self storage is the ideal option for customers who need quick and easy access to their belongings. Units are available in a variety of different capacities from 20 cubic feet to 150 cubic feet, and monitored 24/7. Containerised storage is the perfect option for larger, heavier items or if you have a lot of items to store. We pack and load on your doorstep into our custom-built 250 cubic feet containers, which are sealed and delivered safely to our facility in Kilmarnock. Archiving can be a necessary but space-consuming task. Kilmarnock Removals International can store your old files, office furniture, machinery or computers. We do free next day delivery within a 30 mile radius, so you can access them quickly when you need to. Best service ever! So helpful and made it stress free. Thank you! Kilmarnock Removals International has a range of options. 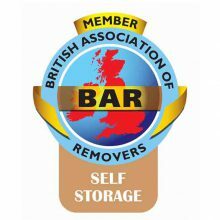 Whatever you need to store – big or small, long term or short term – we have the perfect option for you. Self storage units allow quick and easy access, containerised storage is ideal for storing larger items, and our document storage comes with free next day delivery within a 30 mile radius. Units are available is a variety of different capacities from 20 cubic feet to 250 cubic feet, and it’s all monitored by CCTV 24/7. Store furniture, paperwork, clothes – anything you want, really! 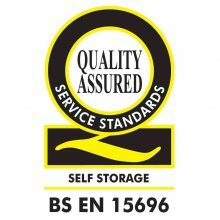 We are proud holders of British Standard BS EN 15696, Self-Storage. 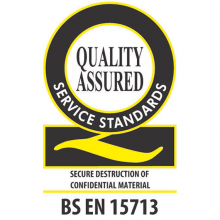 This guarantees the high quality of our services benchmarked against industry standards. We are based in Kilmarnock, Ayrshire. Our office and storage facilities are easy to get to off the B7038, close to Howard Park. Kilmarnock Removals has units from 20 to 250 cubic feet. With a rating of 9.9/10 from over 800 customer reviews since 2009, we are exceptionally proud of our customer service. 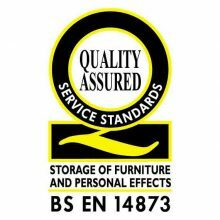 From providing materials to a full packing and unpacking service.